Bethan Blakeley daydreams about what could be if Netflix gave her the data behind their latest invention, Bandersnatch. If you’re one of the 118 million Netflix subscribers, you’ll have done well not to have heard about Black Mirror’s interactive film, Bandersnatch. Just to recap if you are one of those people who has been avoiding the hype (somehow). 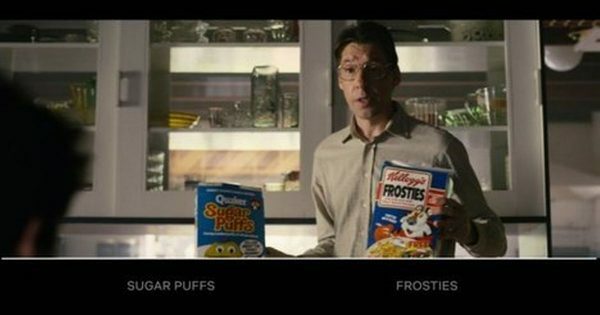 Bandersnatch is described as an interactive, choose your-own-adventure film, where viewers are given options throughout and therefore determine the story themselves. Some of these choices are pretty harrowing (no spoilers here, but if you know anything about previous Black Mirror storylines you’ll understand), and some seem more light-hearted: Sugar Puffs or Frosties? Yes, we can all guess by now that given my love of choose-your-own-adventure books as a child (and my continued geekiness as an adult), I was pretty excited about this film coming out. However, this isn’t about reviewing the film and discussing whether it did or didn’t live up to the hype. This is more of a daydream, a plea if you will – of the data Netflix will have collected from this film and what they could do with it. Let’s start with the basics. With forty-two different option choices, five ultimate endings, and supposedly over 1 trillion different paths to be taken, the wealth of data available is unimaginable. Netflix are able to see what routes people take, in which order, along with how often the go back to choose a different route, whether they get bored of hunting down new paths and come out of it, how often the film is paused, rewound, fast forwarded, etc. Spoiler alert: There is no need to worry about which cereal you choose. You probably should worry more about the choices you make later on though.